To figure out the right moment to buy or sell a binary option, you can use the Stochastic strategy. The strategy lies in using two Stochastic indicators. To make the strategy return a high yield, you have to set two indicators to different time frames because Stochastic itself may give late signals on long-term time frames and a lot of false signals on short-term time frames. Therefore, you need to combine two indicators to get a precise result. The first or basic Stochastic is set to show price action on long-term time frames, and the second or additional is set to show price behavior on short-term time frames. Two Stochastic indicators display start of a trend or its completion. To use the strategy, you need H4 or D1 chart (four hour or daily chart). Surely, you can use this strategy on the other charts but then the risk is higher. Besides, if you use short-term frames, you have to reduce the period for which you invest. Below are the parameters of two Stochastic indicators. 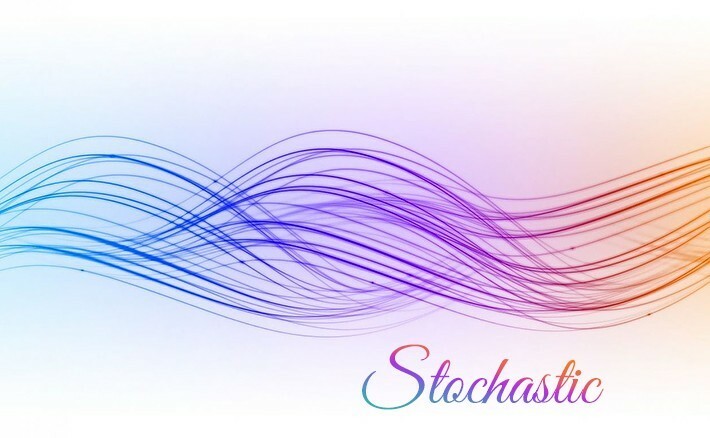 The basic Stochastic is used with long-term parameters like 21, 9, 9. 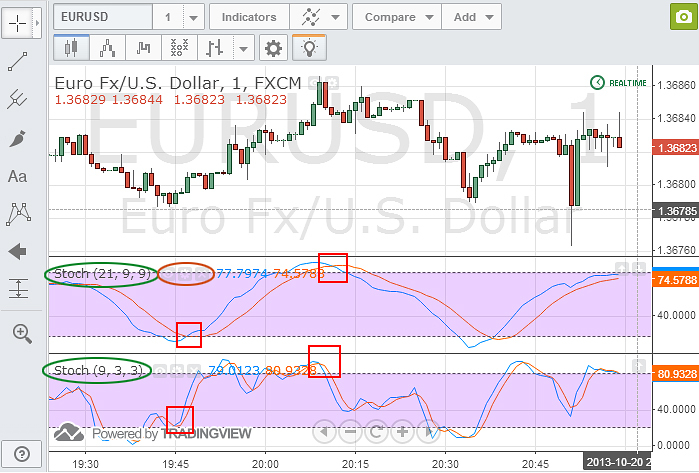 The additional Stochastic is used with short-term parameters like 9, 3, 3. The indicator parameters are encircled in green. You can set them in the indicator menu circled in orange. Crossover is squared in red. To buy a CALL option, both Stochastic indicators have to be in the oversold area (below 30 percent). Blue lines have to cross red lines from the bottom upwards. Wait until the candlestick during which you saw a buy signal is completed, and if the signal still persists, you can buy a CALL option. You can invest in a PUT option if both indicators are in the overbought area (above 70 percent). This means that the blue line has to cross the red line from the top downwards and stay there. Wait until the candlestick during which you saw a signal is completed, and if the signal still persists, you can buy a PUT option. These two Stochastic indicators makes up a basis of the strategy that has been tried by many traders. Using these indicators, you can understand better a market trend and hence know when the right moment to invest, that is, to buy a CALL or PUT option.